I could write an expository discourse on mud. I would not even have to pontificate to put forth a mud manifesto. Just over 8.3% of posts to this blog mention mud (see list below) This story is mud muttered for the 34th time. 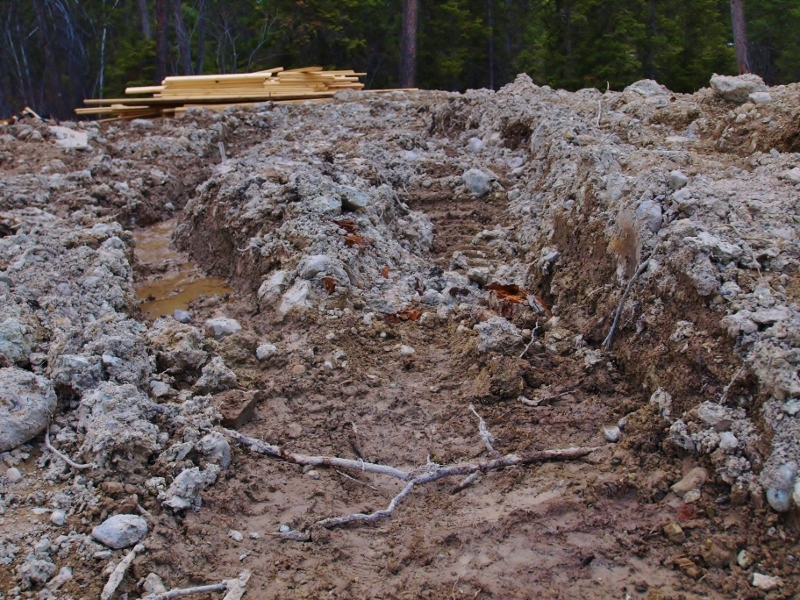 We have been struggling with mud at this Montana house it since we started in September. Our septic field had to be moved and we ended up with twice as much cleared land as we planned. Between that and the driveway, by October with the fall rains we were a mess. The excavation people worked diligently to keep the subterranean depths at a minimum.Thankfully our mud dues not run away so we are not creating polluting run-off problems. Our mud loves us so much it just sticks around. The only time that we did not have mud trouble was, well, never. When the ground froze the mud ruts were set in stone for the winter. 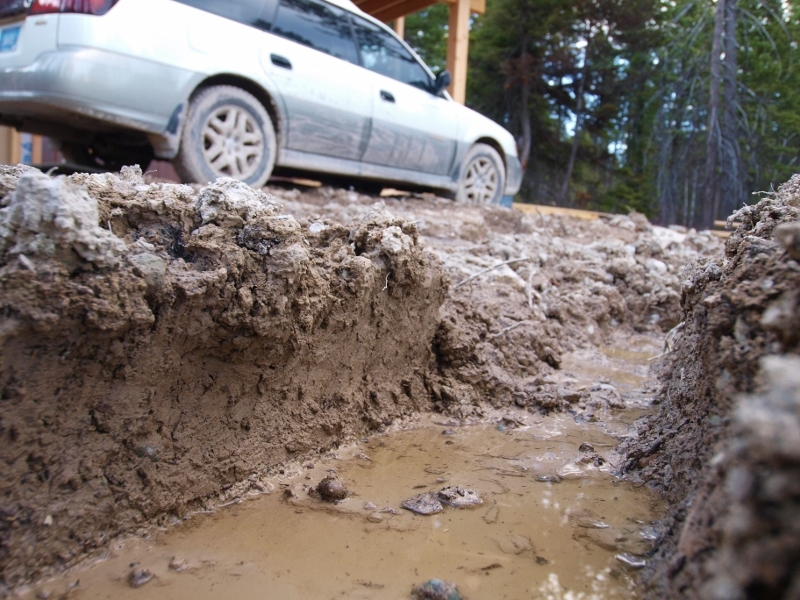 Sliding up a mud-rutted driveway is somehow less concerning than slamming up a frozen mud-rutted driveway. When the snow came the frozen mud ruts filled in with snow so the only time you knew for sure whether or not you missed that big frozen mud rut over there was if you made it to the top of the driveway and could still see out of the windscreen. If you missed and landed in a rut your vision was suddenly obscured because the rut was so deep the surrounding ground level was about mid-windscreen. The worst of the ruts was right at the top of the driveway when you are almost in the parking area right in front of the garage. Although there were a few moments of doubt, I was always able to drive the Subaru out of that really big and hungry rut-hole but some of the trucks who came up did not make it out of that morass. Once our van spent the night in it until someone came the next morning who knew how to drive the gradeall and could fork-lift the van out of the hole. We made an agreement with the parcel people to leave our boxes down by the road where the porta potty was. That area down there stayed pretty firm and there was a small parking and turn around area. It never ceased to give me a smile to see a delivery leaning up against the porta potty. Big deliveries were a really big deal. One time we were trying to return a shower pan and the company we bought it from sent a shipping company to come get it. There was drama about where we were and getting a truck up the road even before we go to the drive way problem. In the end the exchange was made at the Subaru dealership on town. Sometimes we have gone to the freight company to pick things up. We shipped things to our warehouses and then ferried them up with our cars and contractor’s utility trailer. With the weather so much nicer, when my new bathtub arrived week before last the driver ventured up to the house. He did a brilliant job trying to get into the driveway so he could drop it off by the porta potty where we were going to go retrieve it with the gradeall. Alas, between the mud and the bends in the road he got his truck stuck and had to unload the bathtub right at the end of our drive, almost in the road. We had a lovely chat and he opened the box for me to inspect the tub before I signed off on the delivery. One of our neighbors came by when the truck was stuck cross-wise in the road and we hunkered over the bathtub box likewise in the road. They just waved and edged their 4 x 4 off the road a bit to slip around. Sometimes I think our neighborhood could be dubbed Mud R Us. 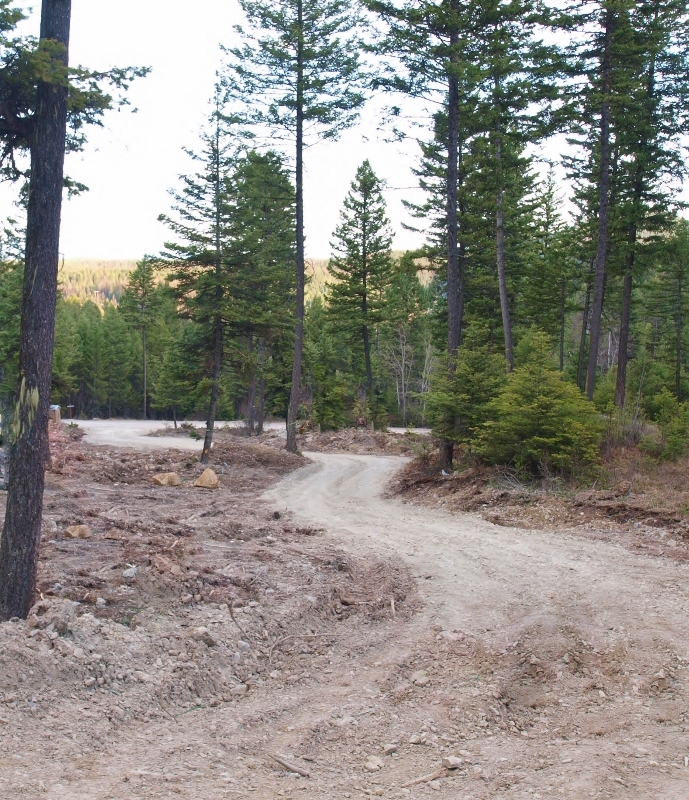 We individually and collectively try to manage the human dirt interface through road construction and proper groundwater management but we have clay soil, intense freeze-thaw cycles, dense vegetation and dirt roads. Mud is a fact of life. Two weeks ago we headed to town in the Subaru and just as we got onto the highway and picked up some steam the car started to shake and shimmy like it was going to fly apart right there in the road. My spouse, who was driving, slowed down and at 43 miles per hour the car tracked pretty straight. We decided to go back to the house and trade out cars since we were not sure what was going on and we needed to go to the neighboring town about 25 miles away. We decided the most likely problem was mud. We thought slamming the car up and down the mud-rutted driveway probably threw the alignment out. Several people said they had had that happen too. It took us a couple of weeks to get the car in to the repair store. I had made some improvement by adjusting the air in the tires and spending about 30 minutes digging great clumps of mud out of the wheel wells, the hub caps, and around the shocks above the wheels. I used a ski pole to dig out parts of it and my Yak Trax held in my hand wire-out to dig out some. That treatment made it possible to drive 52 miles per hour before the shimmy and shake. Today we finally made it to the car doctor. When we picked it up I stayed in our van while my spouse went inside and reckoned with the charges. The driveway is actually starting to work like a driveway. When my spouse related the tale to me we both felt warm and welcomed in community where we have come to retire. It is nice that people know you enough to gossip about you. It was a feeling of real pride and warmth that someone cared enough about us to tease us about the mud at our house. It is one more thing that helps us feel at home.